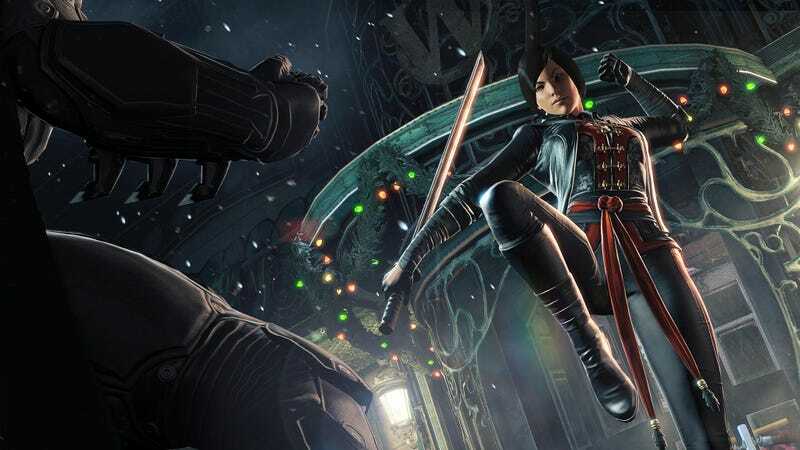 Okay the game isn't a huge disappointment itself but I was excited for Lady Shiva and she turned out to be a disappointment. I guess this can be slightly spoilerish. So I have had two boss battles so far, Lady Shiva and Deathstroke. I like Slade and he had a pretty good battle though it took foreeeeeveerrr. But hey he has armor and super serum so I guess that makes sense. I was curious what they would do for Shiva who, even according to the game, is unmatched in hand to hand combat. I was hoping that if Batman won it would be due to help of outside forces or something beyond the scope of hand to hand. All I get was a glorified fight against a much of slightly higher level mook ninjas and her as more or less a glorified mook. True you don't actually defeat her, she just decides you pass what I presume is Ras Al Ghul's test and leaves but that felt like a cop out.